Dry Into Wednesday - Autumn Smells - Average Date of First 1" Snowfall? I'm taking a little break from my tasty Box Elder Bug salad (may as well put 'em to good use!) to review snowfall statistics. No, I haven't put my driveway stakes in yet, and I plan to resist the urge until the first big snow is imminent. According to NOAA records, the median date of the first 1-inch snowfall is November 16 in the Twin Cities, but the first plowable snow often doesn't arrive until late November or even December. Last winter, all 78.3 inches of it, the MSP metro area enjoyed a total of 42 days with measurable snow, defined as a tenth of an inch or more. 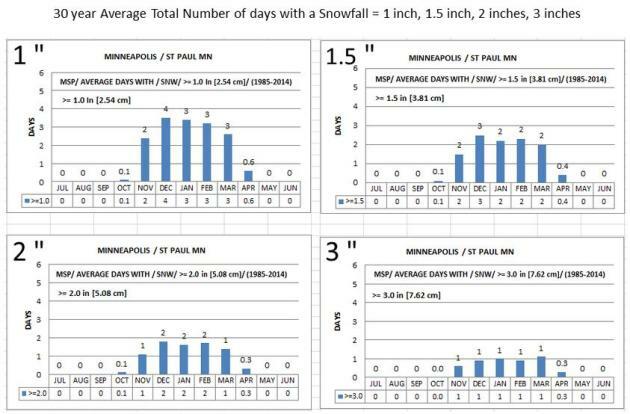 Before you start hyperventilating, MSP sees an average of 16 winter days with an inch or more of snow; 5.3 days/winter with 3 inches or more. No accumulating snow events are brewing, although it may be just chilly enough aloft for a light mix next Sunday. Dry weather lingers into Wednesday, with a little rain Thursday and Friday before we cool back down over the weekend. Big storms will be confined to either coast. If anyone asks, there's about a 75 percent chance of a very white Christmas. 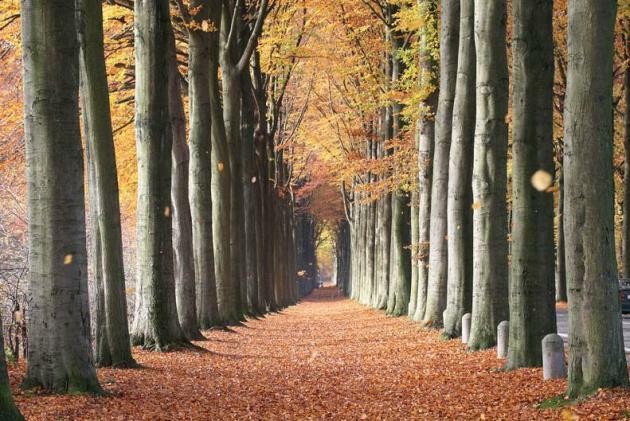 The Scent of a Season: Explaining the Aromas of Fall. Capital Weather Gang had a timely post; here's an excerpt: "...When the leaves fall, they die. As they take their last breath, they “exhale” all sorts of gases through tiny holes known as stomata. Among these compounds released are terpene and isoprenoids, common ingredients in the oils that coat plants. Terpenes are hydrocarbons, meaning their main ingredients are hydrogen and carbon. Pinene, a species of terpene, smells like — you guessed it — pine. It’s a main ingredient to the saplike resin that repairs the bark of conifers and pine trees. 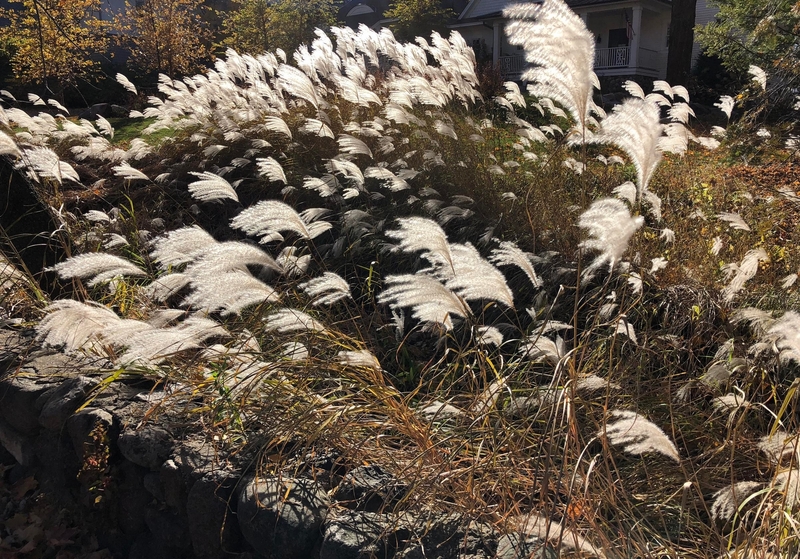 Occasionally, these gas molecules excreted by plants — known as volatile organic compounds — interact with variants of nitrous oxide. This can lead to ozone production, which can smell a bit like chlorine or the exhaust of a dryer vent..."
Seasonably Chilly. The latest run of NOAA's GFS model shows a blocking low over eastern Canada the evening of November 4, with colder than average temperatures from the Upper Midwest and Great Lakes into New England - where the greatest potential for (big) storms spinning up may be. Snow Cover. 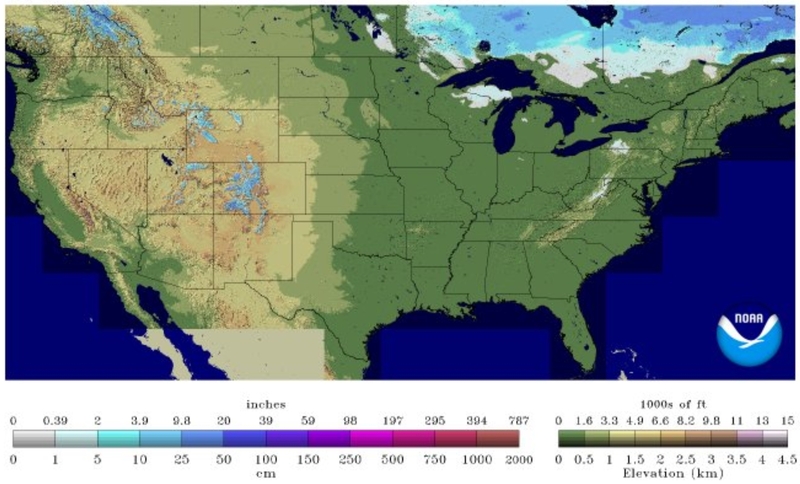 Sunday's NOAA snow cover map shows a few patches of slush over the Arrowhead and northern Wisconsin/UP, but otherwise you have to travel to the Rockies to see snow. That will change - give it a few weeks. Historical Snow Depth Probabilities. It's no surprise that our heaviest snow cover amounts come from late January into mid-February, coinciding with the coldest temperatures of the year. There's a 50% chance of having at least 6" of snow on the ground at MSP during that period. Average Number of 1, 1.5, 2 and 3-inch Snowfalls at MSP. I consider anything over 2" potentially plowable, but others will disagree. Data: Minnesota DNR and State Climatology Office. 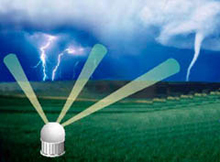 National Severe Storms Laboratory Unveils Weather Radar Research Prototype. Everything gets disrupted, including first-generation Doppler radar systems. Here's an excerpt from NewsOK: "...Conventional radar systems use a dish to focus radar beams on a single area. Hondl compared those systems to a flashlight: Shine it in a particular area, and you'll see what's there. But when forecasters need to look somewhere else, they must mechanically move the dish to point to that area. Phased-array radar uses panels of nearly 5,000 radar beams to look for weather events. Forecasters can point those beams anywhere in a 90-degree area without physically moving the panel. That gives them the ability to look in several different areas more quickly than conventional radar would allow, Hondl said..."
An App Built for Hurricane Harvey Is Now Saving Lives in Florida. Every threat is an opportunity, right? Here's an excerpt from WIRED.com: "...They used as their guide a service called Crowdsource Rescue, or CSR, which showed on a map individuals who might need help. On one of Salty Water’s visits, the crew met a woman whose house had a gas leak, so Lewis called local authorities. “It’s an eerie feeling to dial that number thinking someone’s going to come and it goes straight to a busy signal,” he says. The woman’s family had used CSR to request a wellness check on their relative. The idea behind CSR started out simple: collect calls for help posted on social media, geolocate them, and route volunteers to the distressed parties. Basically, Uber for emergencies..."
Science Says Flouride in Water is Good for Kids. So Why Are These Towns Banning It? NBC News reports; here's a clip: "...Anti-fluoridationists” — a small but vocal minority — are disputing long-established science to say that fluoride added to tap water lowers IQ and causes everything from acne to anemia to Alzheimer’s. These anti-fluoride believers are active online but also at the polls: In the past five years, 74 cities have voted to remove fluoride from their drinking water, according to the American Dental Association. This year, there have been 13 votes around the country on fluoridation, and at least three more cities have fluoride referendums on the ballot in November: proposed bans in Brooksville, Florida, and Houston, Missouri, and a vote on bringing fluoridated water back in Springfield, Ohio..."
Image credit: "Anti-fluoridationists" claim, without scientific evidence, that fluoride lowers IQ and causes everything from Alzheimer's to cancer. "Benedetto Cristofani / for NBC News. Man-Made Moon to Shed Light on Chengdu (China) in 2020. Wow. Just wow. Here's an excerpt from China Daily: "...Wu estimated Chengdu could save around 1.2 billion ($174 million) yuan in electricity annually if the artificial moon illuminated 50 sq km of the city.Meanwhile, the extra light can shine into disaster zones during blackouts, thus aiding relief and rescue efforts, he added. The mirrors can be adjusted for luminosity, and can be completely turned off when needed. However, less light from the satellite will reach the ground if the sky is overcast. "The first moon will be mostly experimental, but the three moons in 2022 will be the real deal with great civic and commercial potential," Wu said. The three new man-made moons can take turns reflecting sunlight as they will not always be in the best position relative to the sun, and together they can illuminate an area of around 3,600 to 6,400 sq km on Earth for 24 hours if desired, he said..."
In Defense of Elon Musk. Popular Mechanics has a little perspective; here's a snippet: "...A cult of celebrity can be a powerful thing, and Musk’s companies have certainly benefited from his. But the viewing public doesn’t only want to see celebrities defeat the odds through their talent and charisma; once a celebrity has entered into the Kardashian cycle, we also, eventually, demand to see them fail—toppled by their own hubris, preferably. Neither of these plot points particularly has much to do with the undeniable successes of SpaceX, and I fear that when we talk about Elon Musk we tend to miss the point. A cult of personality doesn’t create a rocket that can land on a barge; SpaceX engineers did that. If our celebrity obsession keeps us from understanding and encouraging achievements like these, we have no one to blame but ourselves..."
59 F. high yesterday in the Twin Cities. 56 F. average high on October 21. 69 F. high on October 21, 2017. October 22, 1938: Sleet and wind cause damage along the Minnesota/Wisconsin border. October 22, 1913: Long Prairie receives a record low of 8 degrees F.
What Migrants Displaced by the Dust Bowl and Climate Events Can Teach Us. Here's the intro to a story at NPR: "The World Bank predicts climate change could create as many as 143 million "climate migrants" by 2050. The result would be a mass migration twice as large as the number of refugees in the world today. Though the size of potential displacement is unprecedented, the relationship between migration and climate has played out on a smaller scale throughout the history of North America, say historians Nathan Connolly and Ed Ayers. Connolly, a professor at Johns Hopkins University, points to long-lasting droughts from the 12th and 13th centuries that caused relocations of indigenous communities in the American West. Archaeological records show periods of drought that lasted decades, starting as early as the 11th century..."
Photo credit: "In this November 1936 photo from the U.S. Farm Security Administration, a mother, originally from Oklahoma stands with her five children near Fresno, Calif., where she works as a cotton picker. The Dust Bowl led to a massive migration of Midwestern farmers out of the region, many of whom traveled to California in search of jobs." Dorothea Lange/AP. Why Climate Change and Other Global Problems are Pushing Some Business Leaders to Embrace Regulation. An article at Harvard Business Review contains the following excerpt: "...Many businesses were actively involved in lobbying governments to make an ambitious agreement on climate in Paris in the first place. Unilever CEO Paul Polman was one of many who worked tirelessly to push governments to higher ambition. 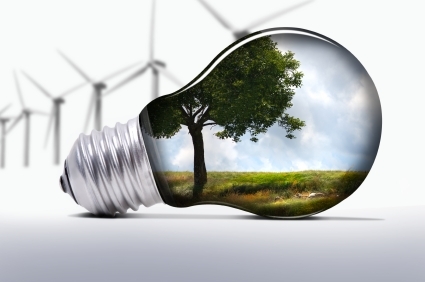 More than 365 companies and investors voiced their support for the US Clean Power Plan in 2015. More than 200 companies have publicly called for the introduction of carbon pricing. Business leaders are now calling on governments to create the policy frameworks to achieve net zero emissions by 2050. 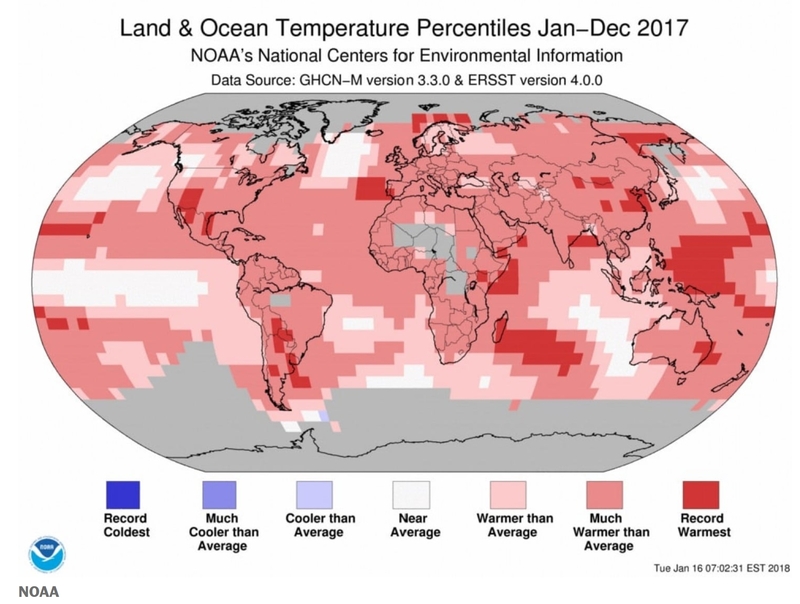 And it’s not just on climate. Companies invested significant resources in pushing for high public policy ambition in agreeing the UN Sustainable Development Goals in 2015. On human rights issues, companies have lobbied the UK government for stronger regulation tackling Modern Slavery in corporate supply chains, and the Cambodian government for stronger protection for worker’s rights..."